With the latest beauty products launching left and right, it can get overwhelming to know what to buy and what is necessary to have as part of a makeup kit. From professional makeup artists to novice makeup users, there are few basics that every girl needs in her makeup bag. Here are the five basic must-haves beauty items. 1) Eyeliner: Lining the rims of the eyes can add the glam factor in an instant. And being in a GCC country, eyeliner is an absolute makeup stable. There are a variety of liners, from liquid to pencil and everything in between. If you want the Angelina Jolie, cat-eye look, go for a liquid liner like Lorac, Front of Line Pro or a pot liner in black from Shiseido. Want to simply line your waterline? 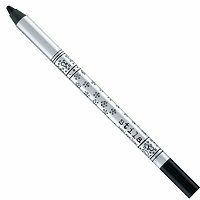 Go for a pencil eyeliner like Kajal Eyeliner by Stila. Black is the preferred color of choice since it is the most versatile, but if you fancy a navy blue or a lime green, go for it. 2) Mascara: In addition to eyeliner, using mascara will make your eyes pop by giving your lashes high defining volume. 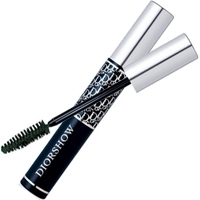 One of my favorite mascaras has got to be Dior Diorshow in black. It gives lashes a great curl and volumizes without clumping. Plus it’s waterproof which means you don’t have to worry about it throughout the day. Need a lesser expensive version? Maybeline Colossal Volume Express does the exact same for less money. 3) Lip Balm: Whether you like lip gloss, lip balm, or chapstick, you got to keep your lips moisturized. 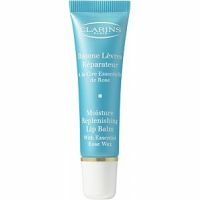 Clarins Moisture Replenishing Lip Balm is great for dry, chapped lips. It also gives your lips a light rosy color. What’s so great about it is that lasts all day long without reapplying until traditional lip glosses and chapsticks. Whatever your choice may be, make sure to use one that has an SPF of 15+ to keep your lips sunburn-free in the hot summer days. 4) Tinted Moisturizers: Not too thick and not too thin of a coverage, tinted moisturizers are just right. Like foundations, these are great in providing coverage and removing shine.They are especially great to use in humid weather rather than the traditional foundation. Since skin is the largest organ in the body, you should protect it by using a tinted moisturizer with an SPF of 15+. 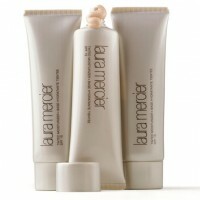 Laura Mercier Tinted Moisturizer carries an SPF of 20 and is oil-free, which makes it great to use for sensitive and acne-prone skin. It’s suitable for all skin types. 5) Bronzer: Summer is coming to a close and we all want to keep our tans lasting all year long. Bronzer does that while contouring and defining facial structure. 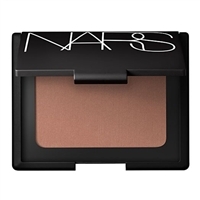 NARS Laguna is one of the best bronzers that I have run into since it is suitable to use on all skin tones. The bronzer has a satin smooth finish with a little bit of shimmer.